It’s not complicated. You already know that if you exercise regularly, eat healthier and get more sleep you will feel better, live longer and perform at a higher level. However, just because it’s not complicated doesn’t mean it’s easy to know where to begin. Here are 8 ideas for jump starting a healthier 2018. Improve your sleep hygiene. 60% of adults struggle with sleep issues every night. Insufficient sleep has been linked to increased risk of heart attack, stroke, hypertension, obesity, depression, type 2 diabetes and other health problems. The good news is that sleep quality can be improved through brief, high quality sleep sessions. Find out how by contacting the CompEAP Sleep Coach at sleepcoach@compeap.com. Count your steps. If you can’t measure it, you can’t manage it. Get a pedometer and use it every day. You’ll be surprised how much effect the small change of just counting your steps can have on your activity level, motivation and awareness. Count your blessings. Gratitude is something which increases with concentration and practice. Take a few moments each day to remind yourself about the things you value most. “Be thankful for what you have; you’ll end up having more. If you concentrate on what you don’t have, you will never, ever have enough.” Oprah Winfrey. Strengthen your muscles. No matter what your fitness level or athletic ability is, you can benefit from strength training. It will improve your confidence and flexibility while reducing your risk of injury and you don’t need to spend hours in the gym to achieve results. Try the 9 Minute Strength Workout or call your EAP health coach to develop an individualized plan. Clean up your workspace. Look at your workspace- is it clean and orderly or is it a disorganized mess? How does it make you feel? Neatness matters because studies have documented that when your workplace is cluttered it’s not only more difficult to focus on a task but it also affects your well-being and stress level. Cleaning your workspace is a low-cost, high impact activity that will yield immediate benefits. Learn a stress reduction technique. Stress may be inevitable but it does not have to make you sick. Take a yoga class, learn about mindfulness and meditation techniques, read a book about how to reduce negative thinking or talk to your EAP counselor about what other practices might work best for you. There are many well-established methods for reducing stress– take some time to learn one and you will reap the rewards for the rest of your (healthier) life. Practice kindness at home and at work. Performing acts of kindness makes us feel good, promotes heart health, slows aging and improves our relationships. Being kind increases levels of dopamine (“helper’s high”) and oxytocin (lowers blood pressure and reduces cardiovascular inflammation). Kindness reduces the emotional distance between people so we feel more bonded. Contact your EAP. Consult, privately and at no charge, with a professional counselor or health coach to help you design a customized plan for feeling better and enjoying the benefits of improved health. All it takes is a phone call (800-344-1011) or email (info@compeap.com) to get started! 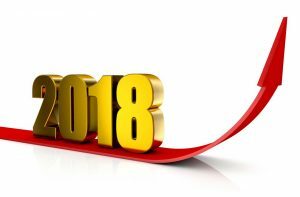 On behalf of the entire team of counselors and health coaches here at CompEAP, I would like to wish you all the healthiest and happiest 2018. We are ready for your call!